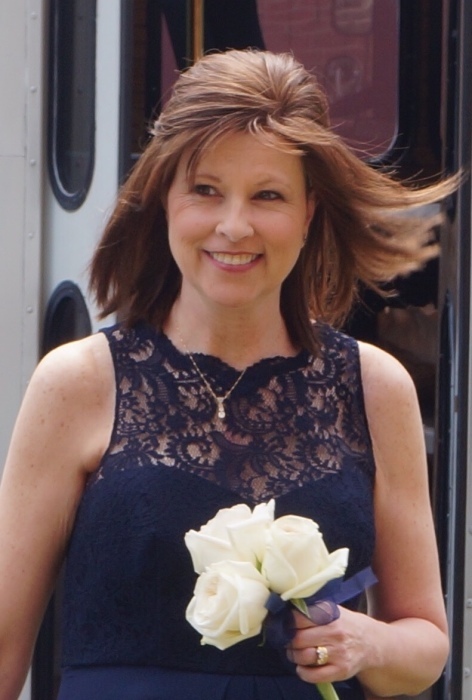 On Sunday, December 2, 2018, Pamela Barker, loving wife and mother, passed peacefully at home surrounded by her family at the age of 51. Pamela was born on April 15, 1967, as the youngest of five children to James and Kathleen Mitchell. After attending Masconomet High School, where she and Thomas Barker her husband of twenty-eight years originally met, Pamela attended St. Anselm College for nursing. The epitome of love and compassion, Pamela worked as a nurse for twenty-nine years, and together, she and Thomas raised their two daughters, Nelson Lane and Mali Barker. A woman with a gentle heart, a motivating strength, and a stubborn tenacity for good, Pamela was an inspiration and a role model for all who knew her. Pamela is survived by her husband, children, and son-in-law Gary Lane, as well as by her mother, two brothers and two sisters, and numerous nieces, nephews, and close friends. She is preceded in death by her father. Family and Friends may call from 4 p.m. to 8 p.m. on Thursday, December 6th, at the Twomey, LeBlanc & Conte Funeral Home, located at 193 High St., Newburyport, MA 01950. Parking is available behind the funeral home. Pamela’s funeral mass will be celebrated at 10:30 a.m. on Friday, December 7th, at Immaculate Conception Church, followed by burial at St. Mary’s Cemetery in Newburyport.